What Is a Bitcoin Custodian? 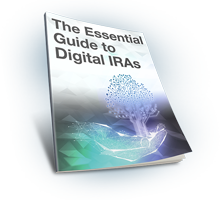 The IRS requires that all individual retirement accounts (IRAs) have either a custodian or trustee. The custodian can be a financial institution or nonbank entity approved by the IRS. As the overseer of your IRA, the custodian buys and sells assets for your account, maintains records of transactions, and files any necessary reports for tax or other purposes. Essentially, the government wants to help ensure that citizens’ life savings are managed responsibly. When choosing a custodian for your crypto IRA, you may want to look for services such as the ones listed above. Keep in mind that there may be a delay of a few days for a custodian to process a cryptocurrency transaction in your IRA, though there is no financial penalty from the IRS for trading such assets back and forth in your IRA. The IRA custodian partner of BitIRA is Preferred Trust Company. Formed in 2007, Preferred Trust Company is a licensed trust custodian which specializes in self-directed IRAs. They operate with a stated mission to “provide individuals the opportunity to break down barriers of traditional investing in an IRA.” Preferred strives to go above and beyond in every transaction, and provide outstanding and professional service. Once BitIRA’s in-house IRA department has helped to ensure a smooth transition from your current custodian, Preferred Trust takes over the reins to administer your account. Preferred Trust is organized into the following teams, each of which will touch your account at various stages. Customer Service Team – Specializes in assisting customers with general account inquires. Experts in all aspects of the industry. Transfer Team – Works with you, our BitIRA in-house IRA Department and your prior custodian to seamlessly transfer funds. Investment Team – Facilitates processing of your investment choice for placement into your IRA. Accounting Team – Processes all IRA payments, contributions, distributions, account statements, and tax documentation. Should you hold any cash deposits in your account with Preferred Trust Company, up to $250,000 will be covered by the FDIC. Please note, as with any asset, FDIC insurance does not insure your digital currency investment(s).